Good morning. It's Tuesday, Aug. 14. • U.C. 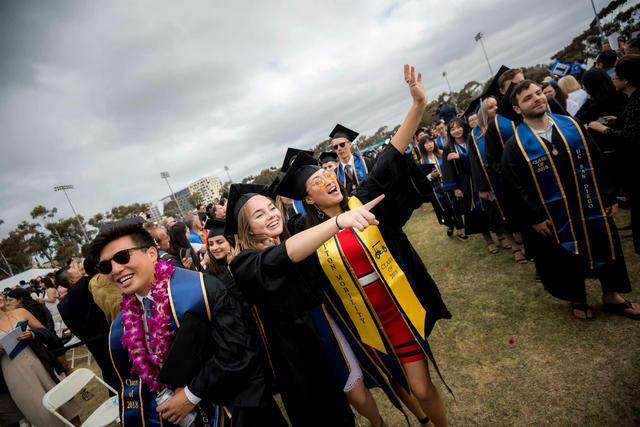 San Diego is ranked as the second-best college. • How Google tracks you even when you tell it not to. • And one of the country's most beautiful train rides. Graduates celebrate during the 2018 commencement ceremonies at U.C. San Diego. Money magazine analyzed affordability, quality and alumni earnings, among other data points, to come up with a ranking of the best U.S. colleges. No. 2 — behind Princeton — was U.C. San Diego, whose student body was described as both diverse and unusually successful. U.C. Irvine, U.C. Berkeley, U.C.L.A. and Stanford all made the top 10. The ranking echoed a Forbes survey on college affordability in April. U.C.L.A. topped that ranking, with the U.C. campuses at Irvine, San Diego, Santa Barbara and Davis all falling within the top 15. Still, while California provides substantial tuition aid, that doesn't offset the soaring housing costs students now face. On that score, many say they're getting crushed. Read the story by City News Service and see the full ranking at Money magazine. 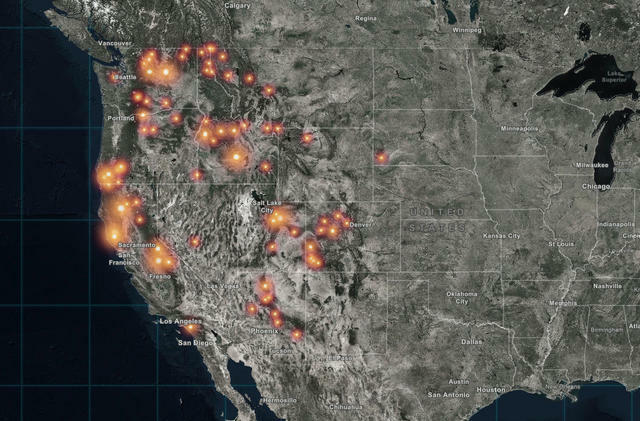 A screen grab from a live map of U.S. wildfires. The authorities added a new murder charge against Joseph James DeAngelo, the suspect in the Golden State Killer case. DeAngelo, a former police officer, was accused of the 1975 killing of a community college professor in Visalia, who was fatally shot as he prevented the kidnapping of his 16-year-old daughter. The spores that cause valley fever grow in the arid soil of California's interior. 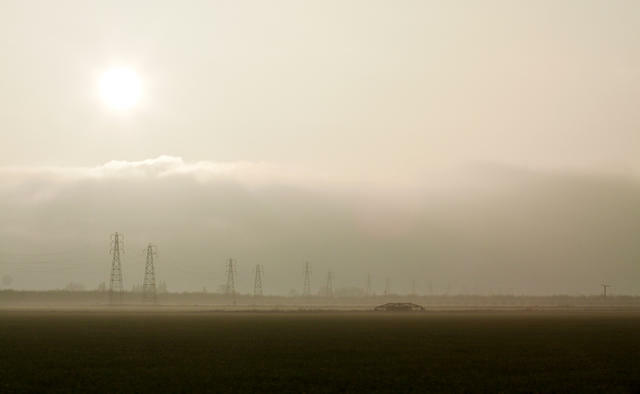 California's Central Valley is experiencing epidemic levels of valley fever, a lung infection caused by a fungus that lives in the dusty soil. One consequence: a rising demand for wigs as more victims suffer hair loss. It happens not because of the disease, but as a side effect of a medication that patients take for months or even years. According to the N.Y. Times, there are currently 62 highly competitive House seats in the 2018 midterm elections. Many have shifted toward Democrats in recent months. Here's a handy interactive map showing the races to watch, including half a dozen in California. The data collection practices of Silicon Valley companies are increasingly under the microscope. You may have set your phone to prevent Google services from tracking your location. But according to an A.P. investigation, many Google services services on Android devices and iPhones do it anyway. 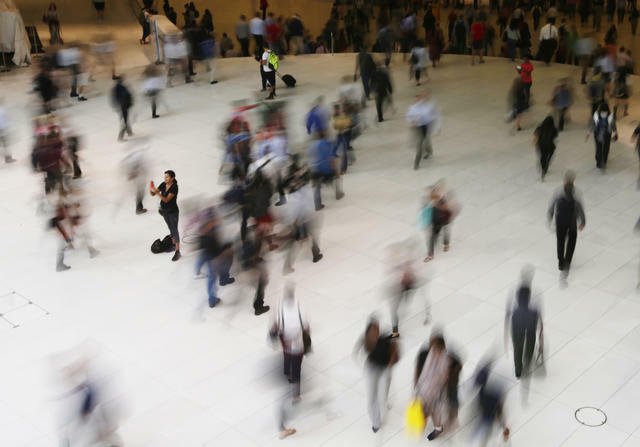 Critics say the insistence on tracking has everything to do with advertising. Thanks to a court order, a Santa Rosa girl became one of the first children in the country to be allowed to use medical marijuana at school. Brooke Adams, 5, suffers from a rare form of epilepsy that causes frequent seizures. The school had refused to allow the medication on its grounds. In a horrific outburst of violence, a 39-year-old day laborer fatally shot three of his children — ages 4, 2, and 9 months — before killing himself in the driveway of his Lake County home. A fourth child, aged 5, survived a gunshot to the chest. Ricardo Garcia Lopez had been arrested in March and May on domestic violence complaints. Lake County News | A.P. The Telegraph Hill flock was documented in the early 1990s. 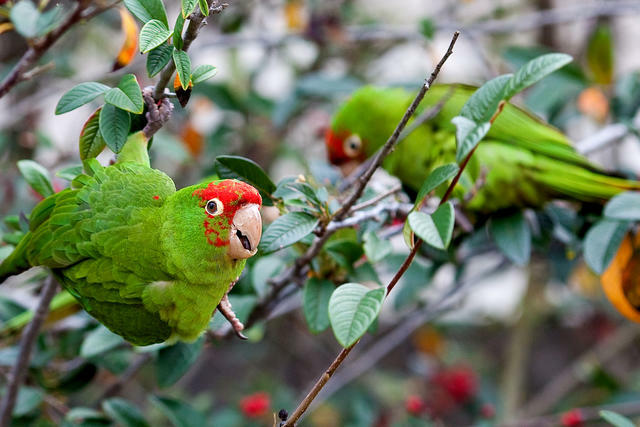 Red-masked parakeets — which rose to fame in the 2003 documentary "The Wild Parrots of Telegraph Hill" — have been spreading to several neighborhoods throughout San Francisco. Native to South America, the original flock of a few dozen has turned into a population of more than 300. Roughly 40 percent of the immigrants detained at the federal prison in Victorville are from India. A representative of the detainees told a visiting congressman that they had been persecuted by India’s Hindu-oriented Bharatiya Janata Party. Officials said a rising number of Indians had been taking advantage of travel routes forged by Latino immigrants. Phil Rath, a leader of San Diego’s redevelopment arm, accepted $100,000 from a developer. Then he voted to give the developer the right to build a $47 million project, along with a $5.8 million loan. An ethics official called Rath's failure to recuse himself an “egregious” violation. "Skid Row hurt me in ways I can't ever explain," Luke said. 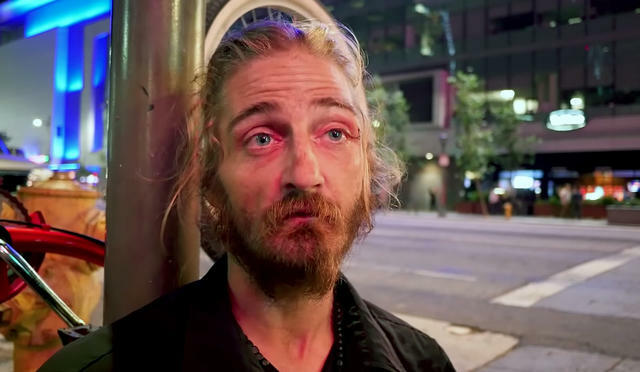 A storytelling project asked a homeless man named Luke about life on Skid Row. He talked about being jumped, taxed and humiliated. Asked how he would use three wishes, he said, “I wish my wife to be better, I wish I had family, and I don't know what I'd do with the third one. I'd probably give it away." Two new solar farms are coming to the desert east of Palm Springs. Among the buyers will be three cities out by the coast: Burbank, Vernon and Anaheim. Falling costs have spurred a solar boom in California. The new development is the latest signal that local governments now see it as an affordable, reliable energy source. 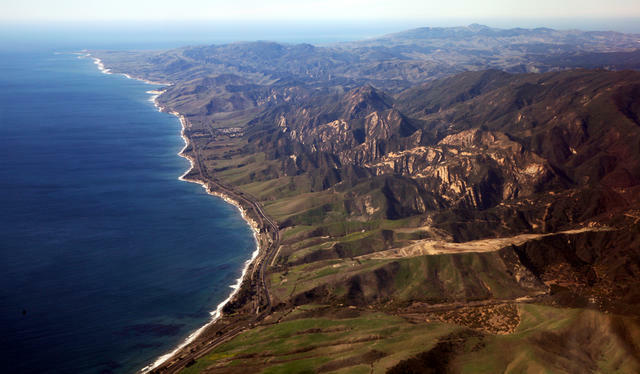 The Coast Starlight traces the Santa Ynez Mountain range on the Central Coast. Amtrak’s Coast Starlight is one of America's most beautiful train rides. The overnight journey departs Los Angeles each morning at 10:10 and covers about 1,400 miles along golden beaches, fertile valleys and high desert wilderness. Perhaps the best part: Tickets start at only $98.